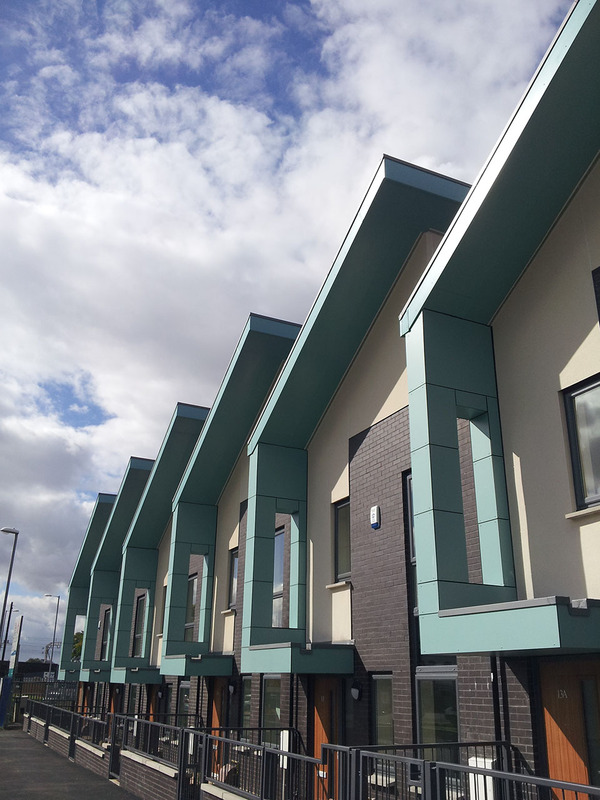 West Gorton is the first major development of new Council Housing by the City of Manchester (MCC) in over 25 years. As part of an emerging, mixed use, masterplan and in collaboration with the Homes and Communities Agency, Guinness Northern Counties, New East Manchester and the local community, 204 new re-provision homes, in the form of 80 houses and 124 apartments, were constructed on four separate sites. Community Focussed – The development maximises natural surveillance, with corner windows overlooking private and public realm, achieving Secured by Design accreditation and a Building for Life (Silver) award. Flexibility – Incorporating Lifetime Homes/DfA2 space standards the development is designed to suit the changing needs of residents. Sustainability – CfSH Level 4 with 10% renewable energy provided through Solar Hot Water (houses) and Air Source Heat Pumps (apartments). 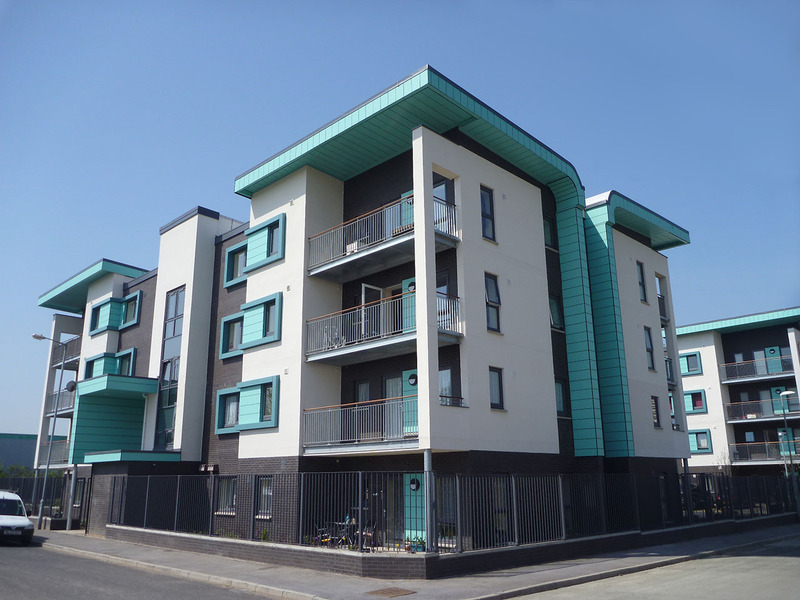 Highly insulated Timber Frame construction was used for both the houses and 4 storey apartment blocks. “Home User Guides” were explained to residents to ensure maximum efficiency in use. Strong identity – The architectural language responds to the aspirations of the existing community i.e. traditional residential building forms with contemporary detail giving a strong identity and robust, secure family homes. 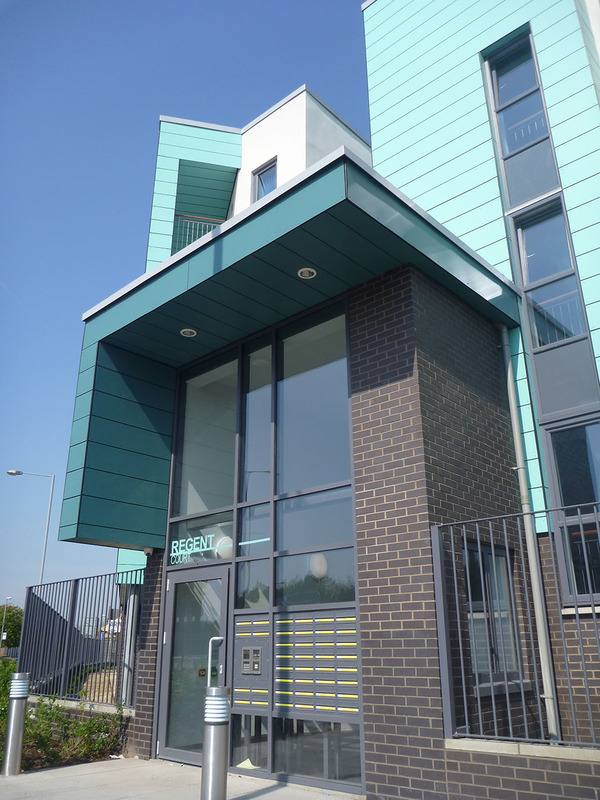 Life Cycle Costs – Robust detailing, high quality workmanship and good site supervision were employed to ensure defects and future maintenance costs are minimal. Early collaboration with Facilities Maintenance team ensured a robust specification.